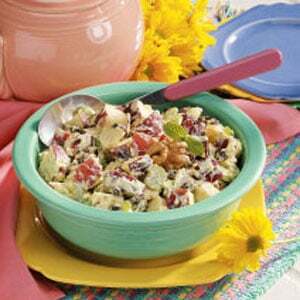 Waldorf Salad - Cindy Cooks! In a bowl, combine first 4 ingredients. Mix cinnamon, whipped topping and mayonnaise together and fold into salad. Refrigerate until ready to serve.